Running your online business means that you can be flexible around the kids and only work when you WANT TO. 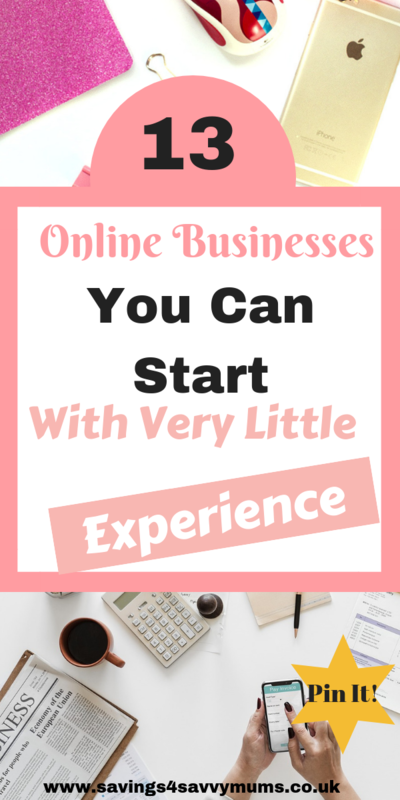 You don’t have to stick to just one of these home-based online businesses. The key to a reliable income is diversifying your income and making sure that you have work on even in the slower months. Sounds too good to be true? Honestly, it’s not. Ignore the hyped success stories that say that you earn thousands in six months, you can’t, unless you are very lucky but you can earn a very good income if you know where to look. Remember; regardless of how much your own, all income must be declared to HMRC in the form of self-assessment. Earning from your own small business isn’t easy but with the correct business model and help from the start, you can reach your financial goals while staying at home. Like everything though, none of these are get rich quick schemes. Every business has to start somewhere and to make money online you do have to dedicate some time to it so please be prepared to work hard! 1. A domain name: This is your www. name that people will search for. Try and think of a name that matches your business or that you think your customers will be searching for. Have a look on social media and Google to check that no one else has it. You can check and purchase domains easily using a site like TSO, who we buy ALL our domains from. 2. Web hosting: These are the people that will host your website on their server. You want a company you can trust. We’ve used many over the years but TSO Host are a good place to start when you need your online store hosting*. You get 10% with TSO Host by using our code S4SM10%OFF. 3. A website: We use WordPress because it’s the easiest platform to use and gives you total freedom. There are so many YouTube videos on how to start out if you are unsure but just pick and theme and get playing with it. 4. Social media: Set up Facebook, Twitter and Instagram first then think if you need Pinterest and Snap Chat. Then depending on which business below you decide to do will come with a few more costs. If you’ve always wanted to start working from home but have no idea how, then come join our monthly membership program which puts you first. You’ll be mentored every step of the way to help you build a profitable online business that you can do at home. I left my job in 2014 when I had my second child as going back was not financially viable for us as a family. Since then I’ve grown my online business single handedly and it now makes me more than I was earning while working part-time. Now I’m at home, flexible around the kids and want to teach you how you can make money online and diverse your income so that you’re never struggling. I’m passionate about helping another mums to set up their online businesses and work from home, whether that’s as a Virtual Assistant, as a Digital Marketer or as a new Blogger. Regardless of your skill set, I will help you to start and grow your work from home business. If the daily grind is really getting you down, then join us below by adding your email address and I’ll email you when the doors open! So here are 13 different ways you can sell online that are all business opportunities. Again, none of these are quick fixes but will start to make you a decent income depending on how much time you can/will put in. A virtual assistant is someone who works from home, who can perform all the nitty gritty admin jobs that a client needs remotely. This could be any admin task and is normally a high paying job with no experience needed. You could be doing anything from scheduling social media to creating marketing images to just answering emails or amending spreadsheets. A Virtual Assistant is useful for any size business, and as someone who’s worked both sides, as an employer and employee, most Virtual Assistants are very flexible and work on an hour by hour payment basis. You don’t have to have any secretarial experience, as many Virtual Assistants specialise in something. Have you got marketing experience? Social media knowledge? Are you organised? Most Virtual Assistant can earn up to £25 an hour. It’s really simple to become a Virtual Assistant, and set up takes about half an hour. Set up a Facebook page and ask everyone and anyone you’ve worked with to leave you a 5-star review. It is mega cringe, but it’s those reviews that will give you a leg up and give you something to link to when a client asks for references. Set up a separate email address so you can track potential clients emails quickly. Shout about your business to everyone and share it in all the Facebook groups, especially in Facebay and business groups. Set up a spreadsheet divided by month with the client name on the top and the number of hours you do every day. That way when it comes to invoicing you can just copy and paste the information over. Have an invoice spreadsheet ready for when you declare. It can be as simple as date, client name and the amount so when you need to declare, you have a final amount without having to find all last years invoices. Blogging can be a great hobby, but also a very good way to earn money and go places with your family that you’ve never even dreamed of before. You need to find a topic that you are passionate about. Don’t worry if you don’t enjoy writing, you can vlog on YouTube or even just start with a Facebook page. The good thing about blogging is that you can start for free and earn money in a load of different ways like advertising, through sponsored posts (this is where a brand asks a blogger to write about their branded products), affiliates (where someone buys something after a blogger has written about them), products and courses. You can start a blog really quickly and easily but will need a domain name, host and website which you can sort yourself quickly. We use WordPress to build Savings 4 Savvy Mums and TSO Host for our domain name. They also offer hosting too and with our code S4SM10%OFF you can get 10% off. Don’t forget to sign up to a email marketing provider. Many offer you a free service till you hit a certain amount of subscribers. This is a great way to keep all your readers involved in what you’re working on. We use Mailerlite as they offer a great customer service and are very easy to use! 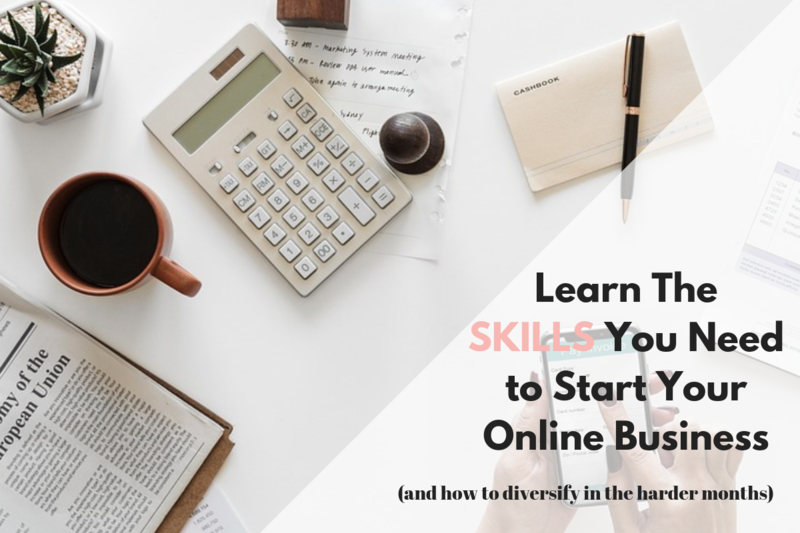 For a walkthrough on how to start a blog and make money, I’d suggest looking at Emma Drew’s tutorial or at her Turn Your Dreams into Reality Course*, which is a great resource for all bloggers who want to make their blog their full time job. 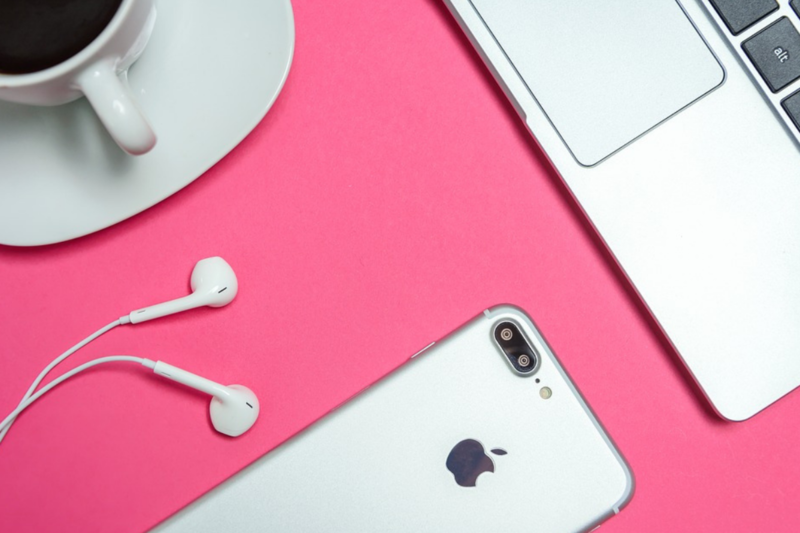 Many business owners have an online store as standard but did you know you can also have an eBay, Amazon and Esty store alongside your own site? So if you’re crafty or selling your own products then this gives you multiple ways you can sell to the public. Affiliate marketing is when you sell something on behalf of someone else and get a commission. You advertise someone else’s products and services and when someone buys, you receive a small percentage. There’s a lot of affiliate programs out there, so whatever you’re interested in, you’ll be able to find a scheme for it. It does take a while to build but affiliate marketing is a great passive income earner meaning you only have to set it up once and you’ll keep receiving income. Remember to research the rules on declaring the links. Fullfilled By Amazon is were you have your own products and you ship them straight to an Amazon warehouse. Then every time you sell one they will ship it out for you and handle any returns. This is a great passive income as you only have to ship it once and everything from customer service to returns is done for you. Amazon does take a final fee so make sure you look at that and at any PayPal fees if applicable. If you have great attention to detail then being a proofreader is for you. They aren’t paid great to start with, but once you have a few under your belt and you start to have a small portfolio you can then raise your prices. You can also look for jobs on Facebay groups. Drop shipping is a great way of earning money on eBay or Amazon without having your own products. You sell other peoples products but for a mark-up so you make a profit. A great example of this on the high street are stores like Argos and John Lewis who sell other brands. 1. A tracking program that tells eBay when the product is in stock or out of stock. We use Hustle Got Real that pulls our listings if they suddenly go out of stock*. They track major UK brands so you don’t have to. Hustle Got Real takes away all the pain of droppshipping and pretty much manages the listings themselves*. 2. An eBay or Amazon Store. We started on eBay just as a private seller. It currently costs 36p to insert a listing so make sure you work out when it’s cheaper to switch to a store. 3. Time. Again this isn’t a get rich quick scheme but is a great way to make money as a passive income. You need to be on your eBay or Amazon store every day even if you only list one product. They reward you for being active! Tutoring is a great work from home job for mums who want to supplement their income part-time. You don’t need to be in the same room as your student’s ether. Using technology like Skype, you can connect to people all around the world. Wages are good as a tutor, but you do need to stand out. Think about what you can offer as a tutor and what students could be seeking. The internet needs writers and you could be paid to be one of them. Anything goes from game scriptwriters to e-book writers to academic writing. Many companies pay per word or per article, and pay will depend on your experience and writing abilities. There’s companies out there that will help you find work as well, but do take a commission on what you earn. You can also find work on local Facebay or Gumtree sites, and while they might not be the best paid, it means you can build up a portfolio for yourself to show other clients. 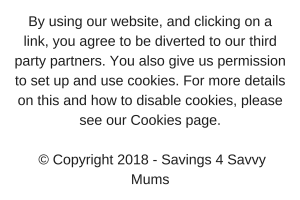 Transcribing is a great work from home job for mums who like typing. You can do it around the kids and at any time. If you’re a fast typist, then you can make some really good money. These jobs involve anything that means inputting data, so look for roles likeCustomer Service Agent, Data Administrator and Data Processor. Pretty much what it says on the tin. You would work from home setting up appointments, arranging travel, doing anything a high street agent would do but at home. We all know that social media is creating more work from home opportunities than ever. This role can be done on a freelance level or as a employee. Many businesses still can’t get to grips with all the different platforms and this is where you can fill in the gaps. To get work, it’s best to start pitching. Have a look at the companies you would love to work for. What should they be doing that they aren’t? What could you do better? If you decide that becoming a Virtual Assistant is for you then this ultimate spreadsheet pack for your virtual assistant business will help you keep track of your time and money. This is for mums who have never been a Virtual Assistant before but who would like to start working from home. 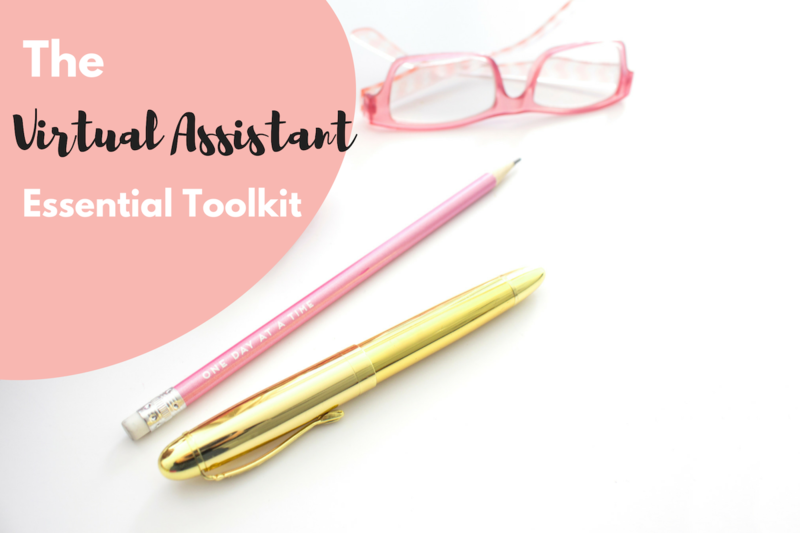 The Virtual Assistant Essential Tool Kit can help you land your first client, and keep you on track for when it’s time to invoice. If you’re looking for a bit of extra cash on the side then have have a look at our these high paying apps that you can do while at home or at these 35 jobs that you can do at home. If time really isn’t your friend then try the below suggestions first and see how much you could make online from home. Matched betting is a completely legal, tried and tested way to make money online while you’re at home. It basically turns the tables on the bookmakers, to give you their free bet offers, so you can’t loose. If you’re doing it correctly, you will never loose any money, but you do need to take your time and be really careful to avoid any mistakes. Make sure you understand fully before you deposit any money. This matched betting guide is for beginners who want to place their first bet safely, but have no idea how matched betting even works. We use Profit Accumulator* who offers you free use in till you make £45. This gives you enough time to work out if matched betting is really for you. Mystery shopping is a great way to make money, but to also get some free items, which will help reduce your family food bill as well. Being a mystery shopper involves you evaluating the quality of service. Companies agencies to recruit mystery shoppers to carry out assignments so they get a real view of what is going on. Once the mystery shop is complete, the shopper will fill out a report and you will receive a payment for doing so. Honest reviews are more important than ever. Companies will send you free products to test and review and in some cases cash for your time. A good site to look at is Buzzoole. Testing websites is an easy way to make money that we can all do. WhatUsersDo will pay you £5 for every website you test. You will need to log in and record your voice answering some questions and speaking your thoughts aloud. Each test lasts around 20 minutes, and you get paid monthly. Have you tried any of these? Do you do more than one? Let us know in the comments below. If you enjoyed this post and would like some more money making ideas from home, including ways to freelance, start a blog or even earn from your phone, then head over to my making money section here on Savings 4 Savvy Mums where you’ll find over 30 money making posts dedicated to helping you earn more from home and become more financially stable as a family. There’s also tips in my Money Saving Mums Facebook group. 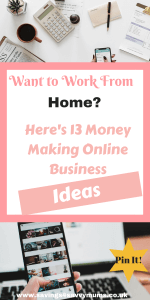 You could also pop over and follow my money making Pinterest boards for lots more ways you can earn money from home; Money Making Mums and Working from Home Jobs for Mums.